Hi. We’re Drs. Hammond. 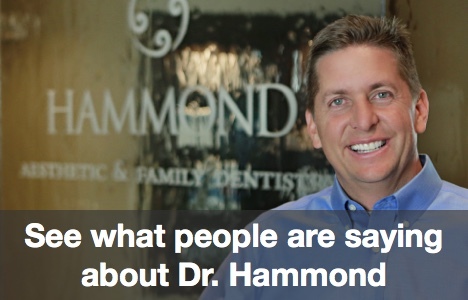 Welcome to our Provo general dentistry blog. Today we’ll be looking at the complexity and importance of your saliva. Though most people in Provo or the surrounding areas may think it’s gross, saliva is essential to dental health as well as digestion. Now that Provo residents know how important saliva is to dental health, we’re sure you can see why ample salivary flow should concern you. For most of our Provo patients, everyday chewing is enough to stimulate salivary glands to release saliva. However, dry mouth, also known as xerostomia, is an ailment that should be dealt with quickly before oral health complications occur. If you are in the Provo area and are looking for quality dental services and care, please contact our office today at 801-374-0070. We have been providing general and cosmetic dentistry in Provo since 1996. Our friendly and professional staff would be happy to talk to you about cosmetic dentistry, sedation dentistry, porcelain veneers, Invisalign clear braces, and the other services we provide to our valued patients.